One of our most treasured Mendocino venues, Camp Navarro, set in the beautiful redwoods. We will be followed by San Francisco based band Tracorum! It’s sure to be a toe tapping time in the woods! This year we will be gracing the main stage with our full band! Fun for the whole family that you won’t want to miss! The Real Sarahs bring a room of harmony, as Teacher Jen rocks the Bass. All profits go towards the scholarship fund benefiting teachers, nurses, firefighters, students and those who are looking for an enrichment class and need a little financial support. Thank you in advance for being a part of this Live Music Family Jam! 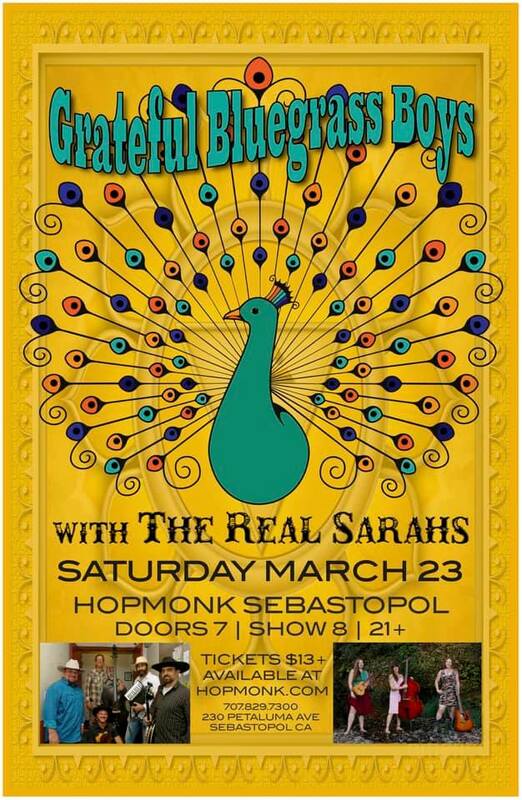 A night of great musical collaboration featuring The Real Sarahs, Jimbo Scott, and Mike Rufo. Feeling the winter blues in Anderson Valley? Come on out to this local house party and share the warmth of good music and great community. See Facebook event for details or send us an email and we’ll let you know. Berkeley’s premier listening room venue! Tune in to KPFA.org to hear us live on air with Tim Lynch! 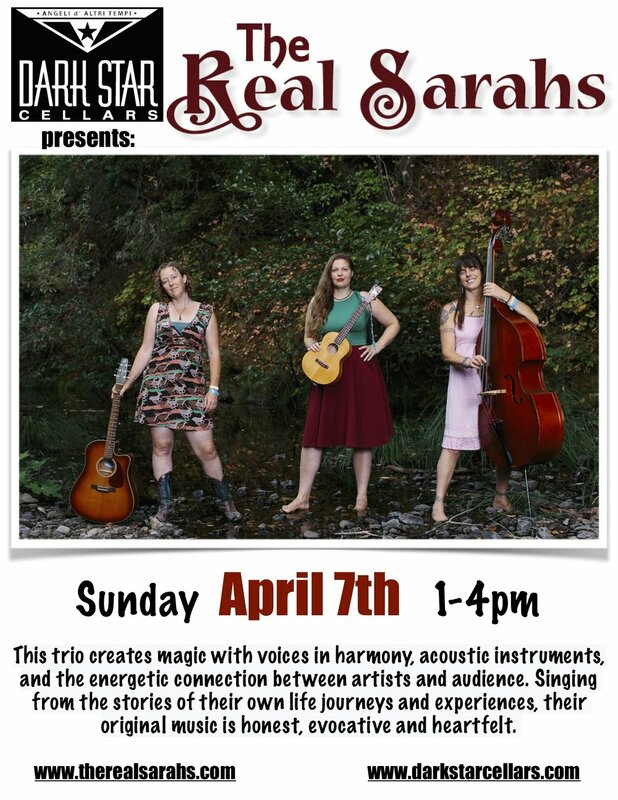 The 24th annual Goddess Crafts Faire in beautiful Sebastopol. Great gifts, great entertainment, one amazing community. Come celebrate the season in the glow of the Divine Feminine. The annual holiday tree lighting at the charming Boonville Hotel (Table 128). This event raises money for the Anderson Valley Food Bank and features homemade food, cookies, local drinks and your favorite songs of the season. Come sing along and support a great cause!